I’m a mom of four children, each with an open adoption with their birth family. Open adoption is intricate, and sometimes families get so lost in details that they forget about the joys that come with the gift of openness. With some planning and thoughtfulness, you can extend love to your children’s birth families. This is essential! When you keep your promises, such as when you’ll send pictures or schedule a visit, you are taking the initiative to build trust, affection, and, of course, love. I recommend making short-term promises, since it’s hard to predict today what the child will want and need in the long-run. Let the relationship grow organically. We go to the doctor for check-ups, because it’s the healthy thing to do! Likewise, check in with your child’s birth family. What’s working? What isn’t? Share what your child needs or desires, if he or she is not old enough to express that. Then make adjustments to the relationship as needed. A check-up says that you truly care about the well-being and feelings of your child’s birth family. 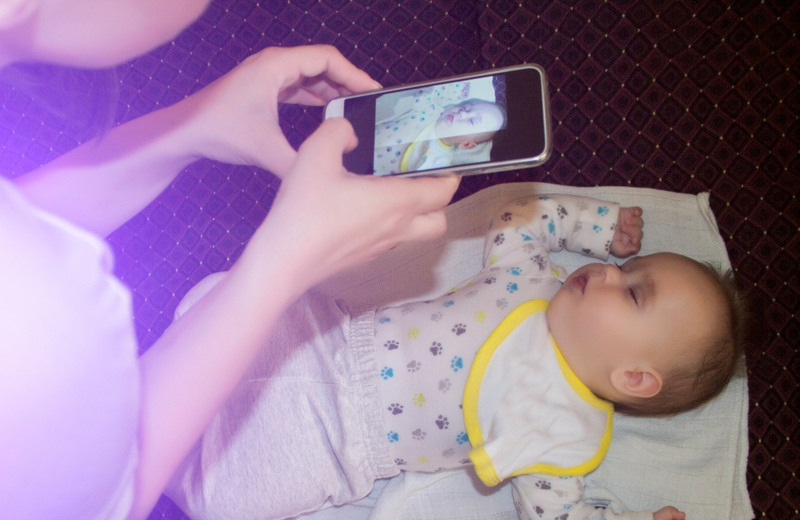 Whether you post photos on social media, send an e-mail, or snail-mail, sending photos is a way of keeping the birth family updated on how the child is doing, what he or she is experiencing, and how much he or she has grown. Remember, a picture truly is worth a thousand words. I know many families like to create photo gifts including photo books, photo canvases, photo ornaments, etc. The updates we write for our children’s birth families include: developmental milestones, likes/dislikes, firsts (first trip to the zoo, for example), quirks and habits, favorites, and much more. I even like to include what size clothing the child is wearing (when the child is young), any funny things they’ve done or said, and more. Painting a picture with your words lets the birth family get to “know” the child, which can be heartwarming and appreciated, especially when there aren’t visits or frequent visits. Having your child (if old enough) pick out a card or send homemade art on holidays such as Valentine’s Day, Mother’s and Father’s Day, Easter, Christmas, etc. can be a way of expressing care and love. Holidays can be hard for those who have experienced loss, and receiving a reminder that they are cherished is thoughtful. One such example is buying two of the same ornament every year, keeping one for the child and sending one to the birth parents. Take some time to establish traditions around the holidays that include your child’s birth family. If your child’s birth family has a new baby, one member has a birthday, etc., those are opportunities to celebrate with them. Send flowers, a personalized gift, or a handwritten card. Remember that a birth and adoptive family are forever bonded, and your thoughtfulness is important! Whether you desire suggestions on how to style your Black daughter’s hair or you have a medical history question, asking for input is a great way to include your child’s birth parents. What are some of their favorite holiday traditions that you can incorporate into your child’s life? If they are parenting other children, you can also ask about general parenting topics. One birth parent offered me suggestions on potty-training my son. In general, people forget to be thankful. Let the birth family know how much you appreciate the contact, whether it’s for a recent visit or a card sent to your child. Don’t take the communication for granted. Many families and children do not have the blessing of contact with the birth family. A simple “thank you” goes a long way. And remember, as your child gets older, it is important that you get his or her input on these decisions, including the level of contact and the way communication happens. The open adoption should center around the child! Of course, you set the tone, and by expressing love to the child’s birth family along the way, you show your child what a good relationship should look like.